Maenam Beach has to be one of the most under-rated beaches on Koh Samui. A delightful stretch of yellow sand on the north coast of Samui, it has for years been neglected and talked down by the guidebooks, yet it has some excellent value accommodation and a stretch of sand that takes around two to three hours to walk the full length of. For those who are after a sleepy old style beach holiday, Maenam is really difficult to fault. The waters are calm most of the year and in places are shallow a long way out making this an ideal location for families with small children. Thumping beach parties till the early hours are the exceptional rather than the norm – a fresh change from many other beaches in the area. Another fine advantage of Maenam is that the main road runs a long way back off the beach, so there is very little in the way of traffic noise for much of the length of the beach. 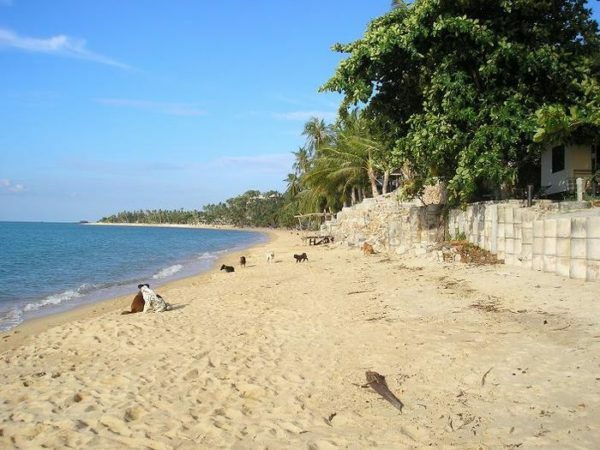 Along the beach’s entirety great vistas of Koh Pha Ngan are in abundant supply, and the sunsets from the eastern end of Maenam can be simply magnificent. While the bulk of the guesthouses and resorts on Maenam are budget orientated, there are also some fine upper-end options to choose from – something for everyone indeed.